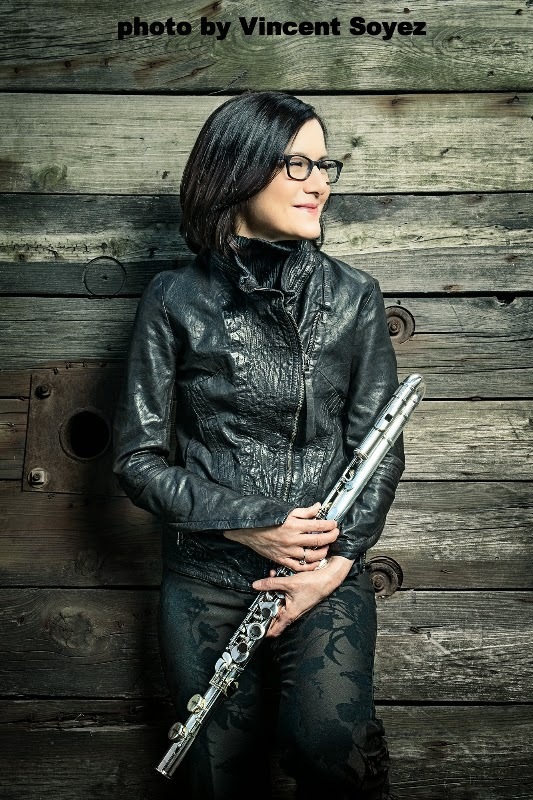 Northampton Jazz Workshop features guest flutist Jamie Baum Tuesday, April 7th, 7:30 to 8:30 PM followed by an open jazz jam until 10:30 PM, The Loft at the Clarion Hotel. (This is a rescheduled event which was postponed due to weather). Smithsonian Chowder House is now catering our Workshop nights with a buffet served from 6-9 for $8.95. In 2014 she was both a McDowell Colony Fellow and a recipient of a Guggenheim Fellowship Award for composing. Among the many different musical projects Jamie has going concurrently is her latest assemblage called Yard Byard: The Jacki Byard Project. She will be playing some of the music from that group off her new CD entitled Inch By Inch which received a 4-Star Downbeat review. "Jamie Baum has developed a strong, personal sound with almost flawless intonation... The leader is really rather unique; she is a fine composer, a technically accomplished flautist and she has ideas and imagination in abundance. Many players have some of these qualities but few possess them all."